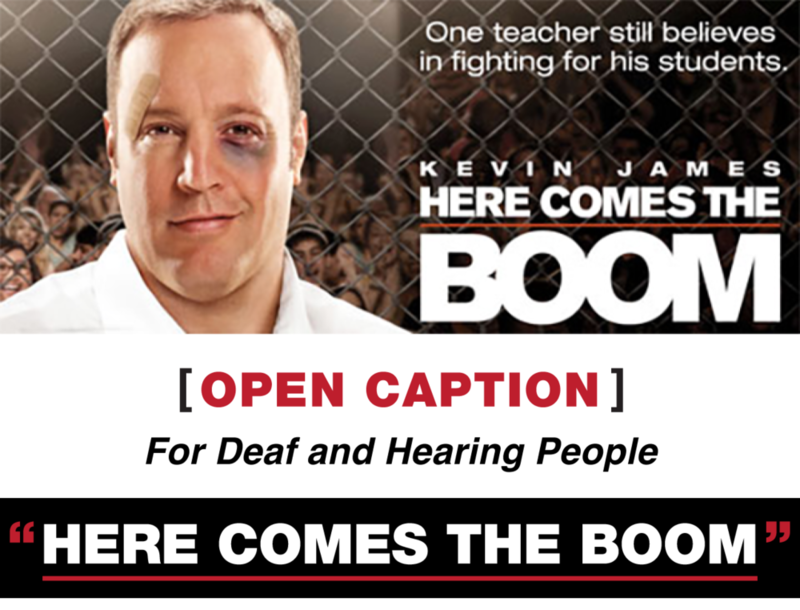 Open Caption Screening: "Here Comes the Boom"
In honor of Deaf Awareness Month, the Atlanta Film Festival and the Plaza Theatre Foundation are proud to present an open caption screening of family comedy "Here Comes the Boom." ATLFF Members: All Atlanta Film Festival members and their plus ones are invited to attend for free! Click Enter Promotional Code above, input the email address associated with your membership, and click Apply; your Member Admission ticket option will appear in the ticket window. Not yet a member and want access to screenings all year long? Check out membership options!